The durability of a rug is undeniably a reflection of its quality. 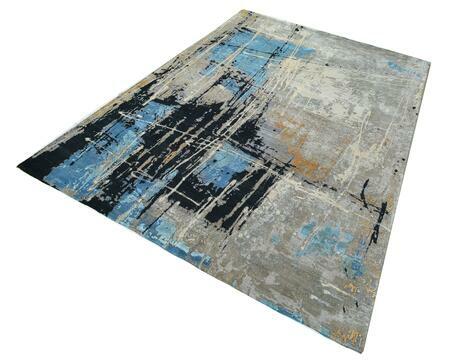 At Bazaar Velvet, we specialise in Hand Knotted rugs created from natural materials. They are made to be used and enjoyed without the worry of stains or wear. If properly cared for, a hand knotted rug can provide a lifetime of service. What makes a Hand Knotted Rug Different? Despite being centuries old, the rug construction method of hand knotting is still superior to modern techniques, producing the most robust rug possible. This is because the process involves no glue or backing that deteriorates over time, causing the rug to crack or curl. Instead it is created on loom by knotting strands of wool or silk yarn around the individual threads of a cotton foundation. 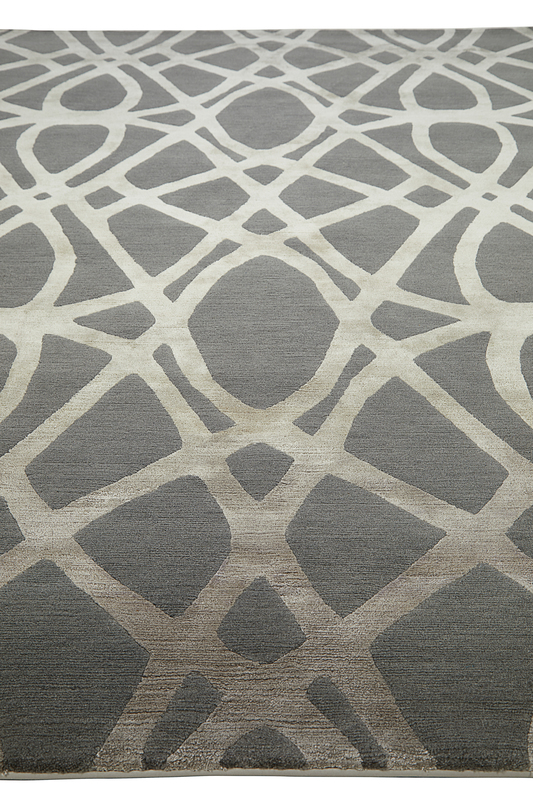 Even in high traffic areas, a hand knotted rug is impossible to wear out. If however the rug is misused and a patch becomes damaged, the area can be rewoven. A hand knotted rug is the only type of rug that can be mended in this way. The best way to maintain a hand knotted rug is to vacuum it regularly. This is because dirt can get caught deep into the pile causing unnecessary wear. Exactly how often this should be completed will depend on the rugs usage, but for a primary sitting room we'd recommenced once or twice a week. This should be increased if there is a presence of animal hair or if the rug is being constantly trodden on by dirty shoes. Use a medium suction level if you have the option and avoid hoovers with heavy beaters. Using underlay can also prolong the life of your rug. This is advisable if the rug is to be placed on an uneven surface such as slabs of stone or aging wood, as friction between the back of the rug and the floor can cause damage to the knots. We recommend a specialist non-slip underlay or ‘rug pad’. The type we offer at Bazaar Velvet is formed of a foam mesh with an anti-slip coating. This is easy to place and re position and stops the rug from moving, creasing and the edges flicking up. It also provides extra cushioning for improved comfort underfoot. 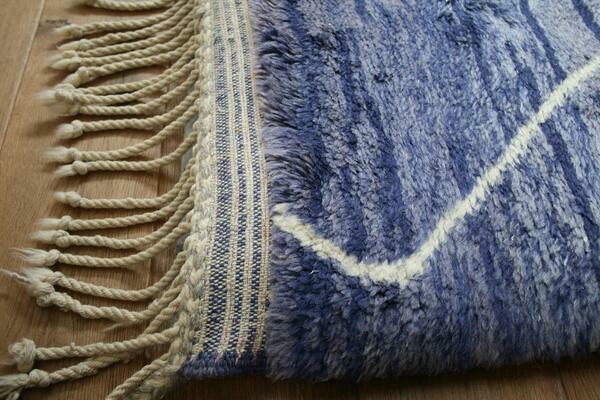 At Bazaar Velvet we recommend our rugs undergo a professional deep clean every 5-10 years. On a basic level, loose dirt and debris can be removed by hanging up the rug outside and beating it with the back of a broom. Take the opportunity to hoover the back of the rug and the patch of floor the rug has been lying on. Regarding washing, this is possible to do at home using a rug shampoo, but it is not something we would generally recommend. This is because you cannot use the amount of water needed for effective cleaning due to insufficient drying conditions. Generally, we would advise having your rug cleaned by a professional instead. Be aware that companies offering to clean your rug at home will only provide a surface clean. This usually involves running a machine over the rug which will leave behind the lower level dirt that has built up over the years. In contrast, a full water-submerge clean will involve locating your rug to a specialist cleaning facility. Here the rug will be soaked in a pool of watered down cleaning solution, cleansing the rug from deep inside the pile and lifting out any impurities. It is then taken to a purpose-built drying area to ensure the pile dries in the correct position. This is the package we offer at Bazaar Velvet and many of our customers are astounded at how their badly marked rugs emerge looking like new. If you would like to find out more about having your rug professionally cleaned, please do not hesitate to contact us. Don’t forget, the golden rule is to act quickly. Also, be wary of purpose made carpet cleaning products as these often contain harsh chemicals that can bleach out the colours of the rug. This is a much more serious problems than a stain and may mean the area has to be re-dyed or even re-woven. When hoovering a shaggy rug special action is required. DO NOT use a vacuum with a beater bar or power head as the pile will get stuck in it. We recommend instead using the hose/furniture extension of the hoover instead. Also beating with the back of a broom or even just shaking the rug outside can help loosen dirt. Leaving the rug outside in the sun can also kill bacteria. Artificial silk, also called Art Silk, Bamboo Silk and Viscose (see our RUG QUALITY GUIDE) can prove very difficult to clean. We would not recommend attempting it at home. This material is very sensitive to liquid, with water stains being a common problem. If you spill something on an Art Silk rug, blot it up as quickly as possible. Then place a towel over it, and weigh it down with a heavy object to draw out as much of the liquid as possible. This type of rug can be professionally cleaned, but results will vary depending on the quality of the silk and if it is combined with other fibres. Also be aware that these materials are not recommend in high traffic areas as they are prone to wear. The pile is easily crushed, so pressure marks from heavy furniture are likely to be permanent. There are many beautiful features of a Hand Knotted rug that are completely normal, but seem to cause customers worry. They are all results of the traditional hand craftsmanship that helps a make a hand knotted rug special, and in no way compromise its quality. This is the name of a natural colour change you find in a hand knotted rug. This happens because the wool taken from the sheep will be of slightly different shades and take to the dye differently. This will give the appearance of lines of slightly different shades of colour. It is much more beautiful than a plain block of colour and gives the rug a certain charm. As a rug is moved, walked on, or hoovered, you may find balls of fluff emerging from it’s surface. This is nothing to worry about. It is not affecting the structure of the rug at all, it is merely pieces of excess material that were caught in the rug as it was being knotted. Your rug is not falling apart! The best way to treat shedding is to hoover your rug more than usual for the first few weeks. This is when a long thread appears to ‘sprout’ from the surface of your rug. Again, it is not a sign of damage, it is just a piece of yarn that has missed the trimming process. Do not pull at the yarn, just take a pair of scissors and cut it to the same pile height as the rest of the rug. When storing a rug, the main two issues to be aware of are the possibility of water damage and moth. Ensure you select an area that is free from leakages and isn’t damp (and ideally isn’t dark) as these are the perfect conditions for moths. Roll up your rug inwards from the bottom end (so you are rolling against the pile) ensuring there are no creases. Do not fold your rug unless it’s only on a very short term basis as the creases can take a while to drop out. Tie the rug up with several pieces of string and cover in plastic. It’s a good idea to put a couple of mothballs in the package for good measure. At Bazaar Velvet we are strong advocates of the traditional technique of hand knotting. If taken care of, a hand knotted rug can provide decades of pleasure and holds its value more than any other type of rug. View some stunning examples in the Bazaar Velvet collections. Do I need to Scotch-Guard my rug? This is unnecessary as the majority of our rugs are made primarily from Himalayan Wool which is rich in a natural oil called lanolin. This layer of moisture acts as a natural barrier against stains. Will my rug fade in the sun? The natural dyes we use in our rugs are very stable, but no type of dye is completely resistant to fading. In rooms with a lot of natural light, we recommend turning the rug around every 2-3 years. Is my rug suitable for underfloor heating? 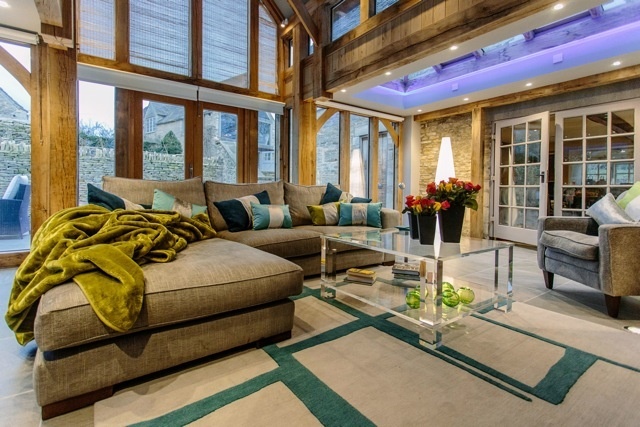 As our rugs do not have any backing or adhesives, they are breathable and safe to use with underfloor heating. It’s also good to know that wool and silk are naturally fire retardant. Do I need to use an underlay? We generally recommend you use underlay, particularly if your rug is on a hard, uneven surface as this can cause unnecessary wear. It also provides cushioning, and prevents the rug from crumpling, sliding or its corners flicking up. Should I worry about moth? When placed in a room setting, your rug is very unlikely to attract moth. However, do not store your rug in dark or damp conditions as this will greatly increase the risk. If you have any questions about caring for your rug, or would like a quote for cleaning, please do not hesitate to contact us.